The objective of the programmes of leadership training in theological studies is to provide theological education for those who, the churches indicate have given evidence of a divine call to the gospel ministry. Such training includes studies in the biblical, theological, historical and practical fields; and to provide basic theological instruction for men and women preparing for other church vocations and places of Christian leadership in churches, schools and the denomination. 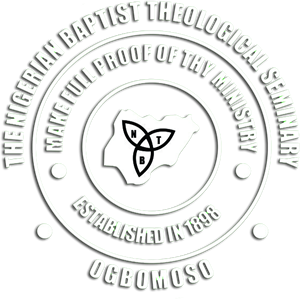 The objective of the programmes of leadership training in religious education is to provide Christian education including biblical, theological, historical, and practical studies for persons who the churches indicate have given evidence of God’s leadership to serve in this specialized ministry; and to provide basic theological instruction for men and women preparing for other church vocations and places of Christian leadership in churches, schools, and the denomination. The objective of the programmes of leadership training in church music is to provide music education, including biblical, theological, historical, and practical studies for those who the churches indicate have given evidence of God’s leadership to serve in this specialized ministry; and to provide basic theological instruction for men and women preparing for other church vocations and places of Christian leadership in churches, schools, and the denomination.